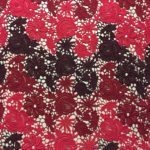 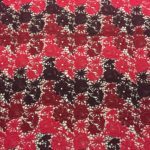 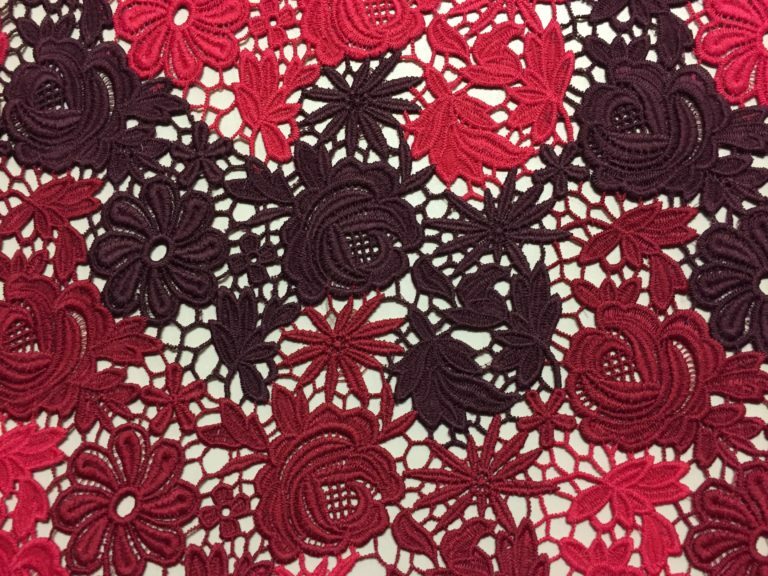 Cotton Guipure Lace with Hot Coral, Deep Purple and Crimson Classic floral patten, double scallop. 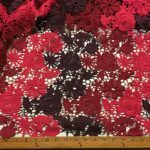 Medium weight with drape to it, 54″ wide. 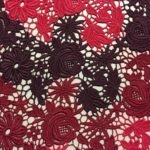 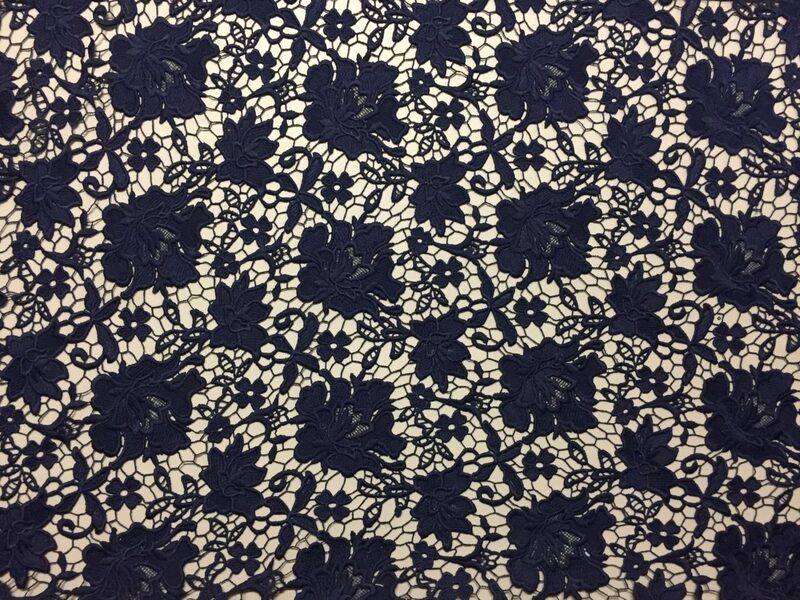 There are endless possibilities for this lace with a formal garment.